Mr. Ma is the founder of the Company. 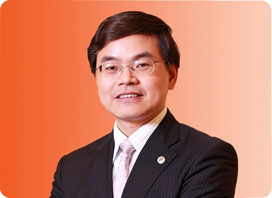 Mr. Ma founded Ping An Insurance Company in March 1988, and is the current Chairman and CEO of the Company. 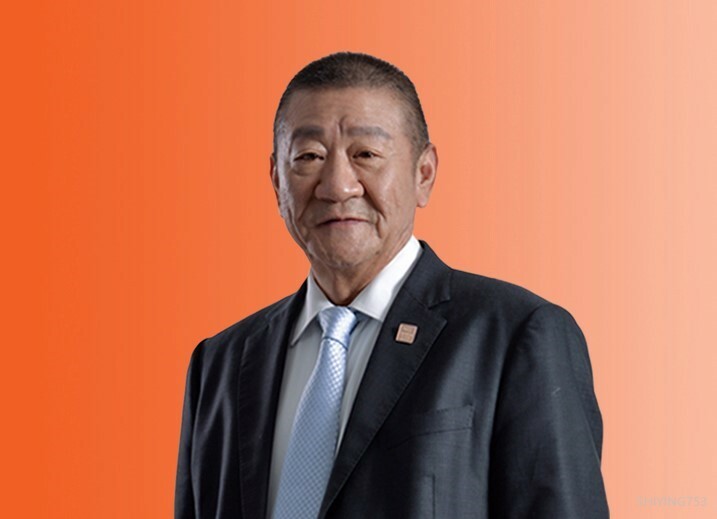 Since the establishment of the Company, Mr. Ma has served as President, Director, Chairman and CEO of the Company, and has been in charge of operations and management of the Company. Before establishing the Company, Mr. Ma was Deputy Manager of China Merchants Shekou Industrial Zone Social Insurance Company. Mr. Ma has a doctor's degree in money and banking from Zhongnan University of Economics and Law (previously Zhongnan University of Economics). 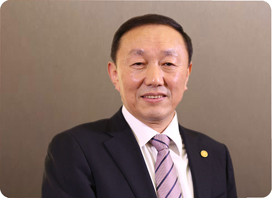 Mr. Sun has been an Executive Director of the Company since March 1995 and the Vice Chairman of the Board of Directors since October 2008. Mr. Sun has been serving as the Executive Vice President of the Company since October 1994, and is also the Chairman of the Board of Directors of Ping An Bank which is a subsidiary of the Company, a Non-executive Director of China Vanke Co., Ltd. and China Insurance Security Fund Co., Ltd., and an Independent Non-executive Director of Haichang Holdings Ltd. 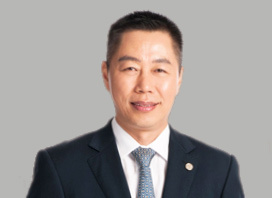 Since joining the Company in July 1990, Mr. Sun has been the General Manager of the Management Department, Senior Vice President, Executive Vice President, and Vice Chief Executive Officer. Before joining the Company, Mr. Sun was Head of Wuhan Branch of the People's Bank of China, Deputy General Manager of Wuhan Branch of People’s Insurance Company of China, and General Manager of Wuhan Securities Company. Mr. Sun has a diploma in finance from Zhongnan University of Economics and Law (previously Zhongnan University of Economics). 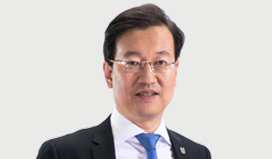 Mr. Lee has been the Company's executive director since June 2013, and now serves as the Company's co-CEO, executive vice president and chief insurance business officer, and director of Ping An’s controlled subsidiaries including Ping An Property & Casualty, Ping An Life, Ping An Annuity and Ping An Health. Mr. Lee joined Ping An in 2004. He served as executive assistant to chairman of Ping An Life from February 2004 to March 2005, president of Ping An Life from March 2005 to January 2010, and chairman of Ping An Life from January 2007 to February 2012. Before joining Ping An, he served successively as senior vice president of Prudential of Taiwan and president of CITIC-Prudential Life. Mr. Lee received a master's degree in finance from the University of Cambridge. Mr. Xie is the Company’s co-CEO and senior vice president, and has been chairman of Ping An Bank since December 2016. He joined the Company in 1994 as a sales agent, and served successively as deputy general manager of Ping An Property & Casualty’s sub-branch, deputy general manager and general manager of Ping An Life’s branch, general manager of Ping An Life’s marketing department. Mr. Xie served as deputy director of the Company’s Development and Reform Center from June 2005 to March 2006, successively as director of operations, director of human resources and vice president of Ping An Bank from March 2006 to November 2013, and successively as executive assistant to chairman, president and CEO, and chairman of Ping An Securities from November 2013 to November 2016. He has been the Company’s senior vice president since September 2016. Mr. Xie received his Ph.D. in management and master's degree in science from Nanjing University. 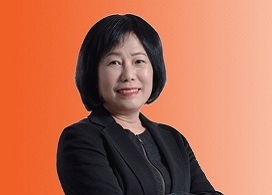 Ms. Tan is the Company's co-CEO, executive vice president, chief information officer and chief operating officer. Ms. Tan joined Ping An in January 2013. 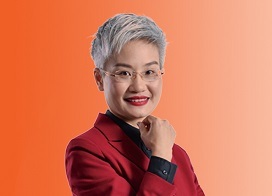 She is chairman of Ping An Technology, and director of the Company’s controlled subsidiaries including Ping An Property & Casualty, Ping An Life, Ping An Annuity, Ping An Financial Technology and Ping An Asset Management. She is also non-executive director of Lufax. Before joining Ping An, Ms. Tan was a global partner at McKinsey. She received bachelor's degrees in electrical engineering and economics, and a master's degree in electrical engineering and computer science from the Massachusetts Institute of Technology. Mr. Ren has been an Executive Director of the Company since July 2012, and the President of the Company since March 2011; he has acted as the Chairman of Ping An Trust since November 2015. Mr. Ren joined the Company in 1992. He was the Senior Vice President of the Company from June 2010 to March 2011, Chief Insurance Business Officer from June 2010 to December 2010, the Chairman and CEO of Ping An Property & Casualty from April 2007 to May 2011, and an Employee Representative Supervisor of the Company from March 2009 to March 2010. He acted as the Chairman and CEO of Ping An Wanlitong from February 2015 to December 2015. Before that, Mr. Ren was the assistant to President and the Finance Director of the Company, the Assistant Director of the Development and Reform Centre, a Senior Vice President of Ping An Property & Casualty, and the Assistant Manager of Property & Casualty Insurance Business of the Company. Mr. Ren holds an MBA degree from Peking University. 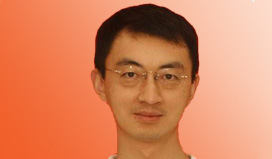 Mr. Yao has been an Executive Director of the Company since June 2009. 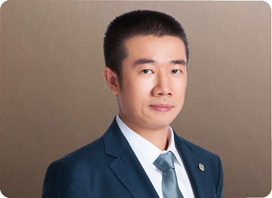 Mr. Yao has been the Chief Financial Officer and Senior Vice President of the Company since April 2010 and June 2009 respectively, the Chief Actuary of the Company since October 2012, and a Non-executive Director of Ping An Bank since June 2010. Mr. Yao joined the Company in May 2001, and served as the Finance Director of the Company from March 2008 to April 2010, the Chief Actuary of the Company from January 2007 to June 2010, the Deputy Finance Director of the Company from February 2004 to January 2007, the General Manager of Planning Department of the Company from February 2004 to February 2012, the Deputy Chief Actuary of the Company from December 2002 to January 2007, and the Deputy General Manager of the Product Centre of the Company from 2001 to 2002. Before that, Mr. Yao served at Deloitte Touche Tohmatsu as a consulting actuary and senior manager. 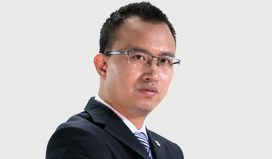 Mr. Yao is a fellow of the Society of Actuaries (FSA), and holds an MBA degree from New York University. Ms. Ip has been the Senior Vice President of the Company since January 2011, and the Chief Internal Auditor, Person-in-charge of Auditing, and Compliance Officer since March 2006, March 2008 and July 2010 respectively. Ms. Ip joined the Company in 2004. She was the Vice President of Ping An Life from February 2004 to March 2006, and the Vice President of the Company from March 2006 to January 2011. 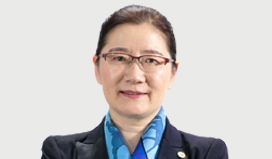 Ms. Ip has been the Non-executive Director of Ping An Bank (formerly Shenzhen Development Bank) since June 2010. Ms. Ip had previously worked with AIA, Prudential Hong Kong, etc. She holds a bachelor’s degree in computer science from the Polytechnic of Central London. 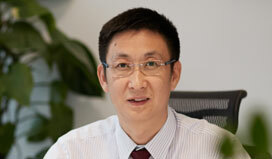 Mr. Chen has been the Senior Vice President of the Company since January 2007. Mr. Chen joined the Company in December 1992. From February 2003 to January 2007, Mr. Chen served as the Vice President of the Company. From June 2002 to May 2006, he served as the General Secretary to the Board of the Company, and the Director of the General Office from June 2002 to April 2007. From 1999 to 2002, Mr. Chen served as the Senior Vice President and the President of Ping An Trust. From 1996 to 1999, Mr. Chen served as the Deputy Director and the Director of the General Office of the Company. 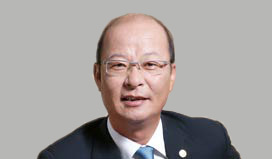 From 1995 to 1996, Mr. Chen served as the President of Ping An Building Management Company. From 1993 to 1995, he served as the Assistant Director and the Deputy Director of the General office of the Parent Company. Mr. Chen has a master’s degree in finance from Zhongnan University of Economics and Law (formerly known as Zhongnan University of Economics). Ms. Cai has been an Executive Director of the Company since July 2014. Ms. Cai is the Chief Human Resources Officer of the Company, and the Executive Vice President of Ping An School of Financial Services. 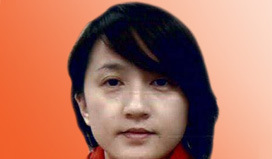 Ms. Cai joined the Company in July 2007. She was the Vice Chief Financial Officer and General Manager of Planning Department of the Company from February 2012 to September 2013, and acted as the Vice General Manager and the General Manager of Remuneration Planning and Management Department of the Human Resources Centre of the Company from October 2009 to February 2012. Ms. Cai has been a Non-executive Director of Ping An Bank since January 2014, and has sat on the boards of directors of several controlled subsidiaries of the Company including Ping An Life, Ping An Property & Casualty, and Ping An Asset Management. 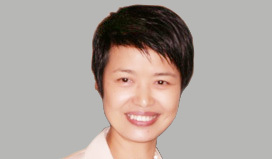 Before joining the Company, Ms. Cai served as the consulting director of Watson Wyatt Consultancy (Shanghai) Ltd. and the audit director on the financial industry at British Standards Institution Management Systems Certification Co. Ltd. Ms. Cai holds a master’s degree in accounting from the University of New South Wales. Mr. Sheng joined Ping An in July 1997. He has been the Company's board secretary since April 2017, brand director since February 2014, and spokesperson since January 2006. From August 2002 to August 2008, he served successively as assistant general manager and vice general manager of the Company’s branding department. He became general manager of the Company’s branding department in August 2008. Mr. Sheng received a bachelor's degree from Nanjing University and a master's degree in business administration from the Chinese University of Hong Kong. Born in October 1968, currently serves as Chief Executive Officer and General Manager of Ping An Life Insurance Company of China, Ltd. She joined Ping An in December 1997 and held the positions of Director of Premium Planning Office at Premium Dept. of Ping An Life Insurance, Director of Chairman’s Office, Senior Vice President of Ping An Life Insurance, Senior Vice President of Ping An Life Insurance Chongqing Branch, and President of Ping An Life Insurance Chongqing Branch. She also served as Vice President and Executive Vice President of Ping An Life Insurance. Ms. Yu earned a bachelor’s degree in chemical equipment and mechanics from Qingdao Institute of Chemical Technology. Ms. Yu follows the principle of good faith and is committed to fulfilling management responsibilities for PAL in accordance with the Corporate Law and the Articles of Association. In so doing, she effectively protected the rights and interests of shareholders, PAL and its staff. 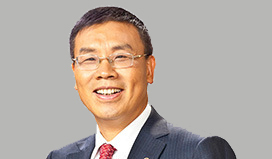 Born in March 1962, currently serves as Chairman of Ping An Life Insurance Company of China, Ltd. He joined Ping An in 1993, and held the positions of Deputy Director of Ping An Group’s General Office, Senior Vice President of Ping An Life Insurance Shenzhen Branch, Senior Vice President of Ping An Life Insurance Beijing Branch, and President of Ping An Life Insurance. He earned a master’s degree in finance from Hunan Institute of Economics and Finance. Mr. Ding follows the principle of good faith and is committed to fulfilling management responsibilities for PAL in accordance with the Corporate Law and the Articles of Association. In so doing, he effectively protected the rights and interests of shareholders, PAL and its staff. 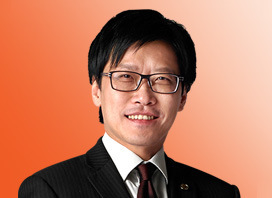 Born in April 1966, currently serves as Executive Vice President of Ping An Life Insurance. Mr. Zhao joined Ping An in May 1992, and held the positions of Vice President of Ping An Life Insurance Dalian Branch, Senior Vice President of Ping An Life Insurance Heilongjiang Branch, President of Ping An Life Insurance Shenzhen Branch, Senior Vice President of Ping An Life Insurance, and President of Ping An Life Insurance. He earned a bachelor’s degree in economics from Shanghai University of Finance and Economics. Mr. Zhao follows the principle of good faith and is committed to fulfilling management responsibilities for PAL in accordance with the Corporate Law and the Articles of Association. In so doing, he effectively protected the rights and interests of shareholders, PAL and its staff. Born in May 1966, currently serves as Senior Vice President of Ping An Life Insurance. He joined Ping An in May 1996 and held the positions of President of Ping An Life Insurance Fujian Branch, President of Ping An Life Insurance Sichuan Branch, President of Ping An Life Insurance Guangdong Branch, and Vice President of Ping An Life Insurance. Mr. Li earned a bachelor’s degree in finance from Anhui University of Finance and Economics. Mr. Li follows the principle of good faith and is committed to fulfilling management responsibilities for PAL in accordance with the Corporate Law and the Articles of Association. In so doing, he effectively protected the rights and interests of shareholders, PAL and its staff. 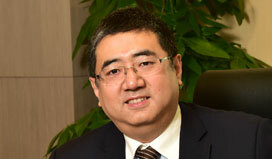 Born in July 1959, currently serves as Senior Vice President of Ping An Life Insurance Company of China, Ltd. Mr. Liu joined Ping An in December 1992 and held the positions of Vice President of Ping An Group’s Personal Insurance Dept., Vice President of Ping An Life Insurance Liaoning Branch, Senior Vice President of Ping An Life Insurance Hubei Branch, President of Group Insurance Management Dept. of Ping An Life Insurance, and Senior Vice President of Ping An Life Insurance Jiangsu Branch. Mr. Liu earned a bachelor’s degree in mathematics from Changchun Normal University. Mr. Liu follows the principle of good faith and is committed to fulfilling management responsibilities for PAL in accordance with the Corporate Law and the Articles of Association. In so doing, he effectively protected the rights and interests of shareholders, PAL and its staff. Born in August 1965, currently serves as Senior Vice President and Chief Financial Officer of Ping An Life Insurance Company of China, Ltd. He joined Ping An in February 1993 and held the positions of Director of Statistics Office of Ping An Group’s Finance & Planning Dept. and Senior Vice President of the Group’s Planning Dept. Mr. Deng earned a master’s degree in statistics from Shanghai University of Finance and Economics. Mr. Deng follows the principle of good faith and is committed to fulfilling management responsibilities for PAL in accordance with the Corporate Law and the Articles of Association. In so doing, he effectively protected the rights and interests of shareholders, PAL and its staff. 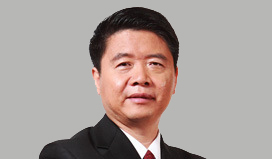 Born in March 1963, currently serves as Senior Vice President of Ping An Life Insurance Company of China, Ltd. He joined Ping An in May 1995 and held the positions of Vice President of Ping An Life Insurance Shanghai Branch, Senior Vice President of Ping An Life Insurance Hefei Branch, and Chief Supervisor of East China Supervision Dept. of Ping An Life Insurance. He also served as President of Ping An Life Insurance Fuzhou Branch, Senior Vice President of Central and West China Business Unit of Ping An Life Insurance, and President of Ping An Life Insurance Shanghai Branch. Mr. Li earned a bachelor’s degree in public finance from Shanghai University of Finance and Economics. Mr. Li follows the principle of good faith and is committed to fulfilling management responsibilities for PAL in accordance with the Corporate Law and the Articles of Association. In so doing, he effectively protected the rights and interests of shareholders, PAL and its staff. 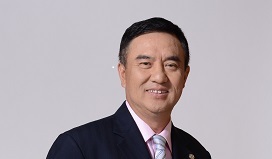 Born in June 1958, currently serves as Senior Vice President of Ping An Life Insurance. He joined Ping An in September 1997, and held the positions of a staff member at HR Dept. of Ping An Property & Casualty, Vice President of Ping An Property & Casualty Guizhou Branch, Vice President of Ping An Life Insurance Anhui Branch, Senior Vice President of Ping An Life Insurance Jiangxi Branch, President of Ping An Life Insurance Dalian Branch, President of Ping An Life Insurance Beijing Branch, President of Ping An Direct Consulting Co., Ltd., President of Tele/online-marketing Business Unit of Ping An Life Insurance, and President of New Channel Business Unit of Ping An Life Insurance. Mr. Liao earned a bachelor’s degree in surveying engineering from Wuhan Technical University of Surveying and Mapping. Mr. Liao follows the principle of good faith and is committed to fulfilling management responsibilities for PAL in accordance with the Corporate Law and the Articles of Association. In so doing, he effectively protected the rights and interests of shareholders, PAL and its staff. 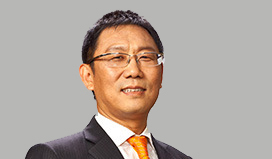 Born in January 1965, currently serves as Senior Vice President of Ping An Life Insurance. He joined Ping An in December 1993 and held the positions of a staff member of the Group’s Political Work Dept., Supervision Director of the Group’s Audit & Supervision Dept., Deputy Director of Business Dept. of Ping An Life Insurance Hebei Branch, Vice President/Senior Vice President of the Group’s Audit & Supervision Dept., President of the Group Insurance Business Dept. of Ping An Life Insurance, Director of Ping An Life Insurance, President of HR & Administration Dept. of Ping An Life Insurance, President of Ping An Life Insurance Shenzhen Branch, and President of Ping An Life Insurance Guangdong Branch. He also served as Vice President of Ping An Life Insurance, the Group’s Vice Chief HR Officer, Chief HR Officer of Ping An Bank, the Group’s Vice Chief Internal Auditor, and President of Marketing Frontline Office of Tier-2 City Business Group of Ping An Life Insurance. Mr. Hu earned a master’s degree in history from Lanzhou University. Mr. Hu follows the principle of good faith and is committed to fulfilling management responsibilities for PAL in accordance with the Corporate Law and the Articles of Association. In so doing, he effectively protected the rights and interests of shareholders, PAL and its staff. 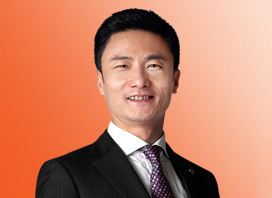 Born in April 1968, currently serves as Senior Vice President of Ping An Life Insurance. He joined Ping An in September 1994 and held the positions of Assistant to Director of Ping An Group’s General Office, Senior Vice President of HR & Administration Dept. of Ping An Life Insurance, Senior Vice President of Ping An Life Insurance Guizhou Branch, President of Ping An Life Insurance Hubei Branch, President of Ping An Life Insurance Shenzhen Branch, the Group’s HR Director, Chief HR Officer of Ping An Bank, and Retail Banking Executive of Ping An Bank. Mr. Rao earned a master’s degree in public finance from Zhongnan University of Economics and Law. Mr. Rao follows the principle of good faith and is committed to fulfilling management responsibilities for PAL in accordance with the Corporate Law and the Articles of Association. In so doing, he effectively protected the rights and interests of shareholders, PAL and its staff. 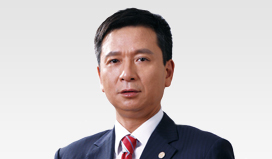 Born in December 1968, currently serves as Vice President of Ping An Life Insurance Company of China, Ltd. 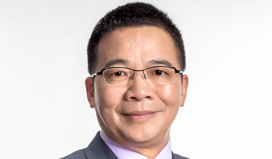 He joined Ping An in January 1997 and held the positions of Deputy Director of Remuneration Office of the Group’s HR Dept., Deputy Director of Performance Appraisal Office, Senior Vice President of the Group’s HR Dept., and President of HR Dept. of Ping An Life Insurance. Mr. Li earned a bachelor’s degree in financial accounting from China University of Mining and Technology. Mr. Li follows the principle of good faith and is committed to fulfilling management responsibilities for PAL in accordance with the Corporate Law and the Articles of Association. In so doing, he effectively protected the rights and interests of shareholders, PAL and its staff. 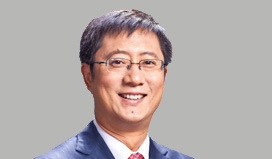 Born in October 1966, currently serves as Vice President of Ping An Life Insurance Company of China, Ltd. 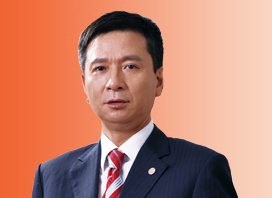 He joined Ping An in December 1997 and held the positions of Vice President and President of Ping An Life Insurance Hubei Branch, Senior Vice President of East China Business Unit of Ping An Life Insurance, President of Ping An Life Insurance Heilongjiang Branch, and President of Ping An Life Insurance Beijing Branch. Mr. Qin earned a bachelor’s degree in educational psychology from Central China Normal University. Mr. Qin follows the principle of good faith and is committed to fulfilling management responsibilities for PAL in accordance with the Corporate Law and the Articles of Association. In so doing, he effectively protected the rights and interests of shareholders, PAL and its staff. 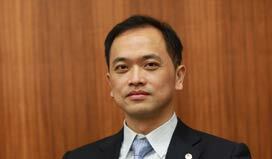 Born in March 1971, currently serves as Vice President, Chief Actuary and Board Secretary of Ping An Life Insurance. 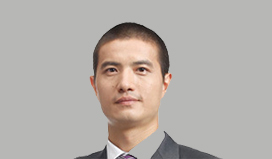 He joined Ping An in July 2000 and held the positions of Actuarial Analyst at Chief Actuary Office of Ping An Group, Integrated In-house Manager at Personal Insurance Product Development Dept. of Product Center of the Group, Product Developer at Legal & Compliance Office of Personal Insurance Product Dept. of Ping An Life Insurance, Manager of Actuary Office of Planning Dept. at the Group’s Finance & Planning Center, and Vice President of Planning Dept. of the Group’s Finance & Planning Center. Mr. Sun earned a master’s degree in statistics from East China Normal University. Mr. Sun follows the principle of good faith and is committed to fulfilling management responsibilities for PAL in accordance with the Corporate Law and the Articles of Association. In so doing, he effectively protected the rights and interests of shareholders, PAL and its staff. 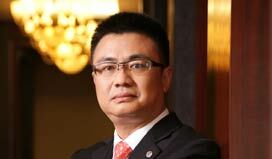 Born in May 1968, currently serves as Vice President of Ping An Life Insurance Company of China, Ltd. He joined Ping An in January 1999 and held the positions of a staff member at Finance Dept. of Shanghai Changshu Road Business Outlet of Ping An Securities, a staff member at Finance Dept. of Shanghai Management HQ of Ping An Securities, Vice President of Ping An Asset Management, Vice President and Senior Vice President of Investment Management (Insurance) Dept. of Ping An Asset Management, Senior Vice President of Traditional Investment Management Dept. of Ping An Asset Management, President of Asset Liability Management Dept. of Ping An Group’s Investment Management Center, President of Ping An Life’s Asset Management Dept., and Director of Ping An Life’s Investment Management Center. Mr. Meng graduated from Shanghai University of Finance and Economics with a master’s degree in statistics. He follows the principle of good faith and is committed to fulfilling management responsibilities for PAL in accordance with the Corporate Law and the Articles of Association. In so doing, he effectively protected the rights and interests of shareholders, PAL and its staff. 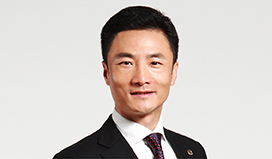 Born in September 1974, currently serves as Vice President of Ping An Life Insurance Company of China, Ltd. He joined Ping An in July 1996, and held the positions of a staff member at Huanqiu Business Outlet of Guangdong Branch, President of Dongfeng Business Outlet, Senior Vice President of Marketing Management Dept., and Manager of Dongguan Center Branch. He also served as Vice President of Guangdong Branch, President of Dongguan Center Branch, President of Guangdong Branch, and President in East China of Tier-2 City Business Group of Ping An Life Insurance. Mr. He earned a bachelor’s degree in statistics from Shanghai University of Finance and Economics. Mr. He follows the principle of good faith and is committed to fulfilling management responsibilities for PAL in accordance with the Corporate Law and the Articles of Association. In so doing, he effectively protected the rights and interests of shareholders, PAL and its staff. 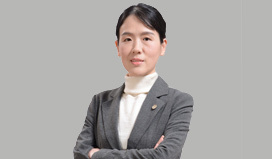 Born in May 1971, currently serves as Vice President of Ping An Life Insurance Company of China, Ltd. She joined Ping An in October 1996, and held the positions of System Analyst at Computer Dept. of Ping An Life Insurance, Project Manager, Senior Project Manager/Vice President of System Development Dept. II and Senior Vice President of System Operations Dept. I at the Group’s Information Management Center, Senior Vice President/President of System Operations Dept. I of Ping An Technology, President of Information Technology Dept. of Ping An Bank, Vice President at President’s Office of Ping An Technology, and President of Technical Support Center of Ping An Life Insurance. Ms. Zhong earned a bachelor’s degree in engineering thermal physics from Tsinghua University. Ms. Zhong follows the principle of good faith and is committed to fulfilling management responsibilities for PAL in accordance with the Corporate Law and the Articles of Association. In so doing, she effectively protected the rights and interests of shareholders, PAL and its staff. Mr. Sun has a Bachelor’s degree in Engineering from Huazhong College of Engineering (currently Huazhong University of Science and Technology) and a Master’s degree in Economics from Zhongnan University of Economics and Law. Mr. Sun joined the Company in 1988 and held various positions such as Assistant Manager and Vice President of Ping An Property & Casualty (Ping An P&C). 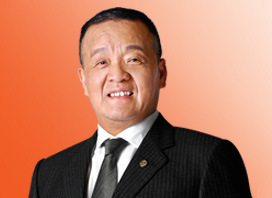 Mr. Sun currently serves as Chairman, CEO and President of Ping An P&C. During 1998-1999, he served as Head of General Management Dept. of Ping An Trust & Investment; during 1998-2002, he served as Head of General Management Dept. and Customer Service Dept. of Ping An P&C; during 2002-2010, he serviced as Senior Vice President of Zhejiang Branch, Senior Vice President and President of Tianjin Branch and President of Shenzhen Branch of Ping An P&C; during 2010-2011, he served as Vice President of Ping An P&C; during 2011-2015, he was President of Ping An P&C; he served as Deputy Chairman of Ping An P&C in 2015; and he has been Executive Vice President of Ping An P&C and Chairman of China Ping An Insurance (Hong Kong) Co., Ltd. since July 2016. He was awarded Medal of Ping An II and Long Service Medal of 20 Years. Mr. Shi Liangxun obtained his Bachelor’s degree of science from Chongqing Normal University in Sept. 1986 and his Master's degree in system engineering from Shanghai Institute of Mechanical Engineering in Sept. 1988. Mr. Shi successively held various positions such as Deputy Head of Finance & Investment Dept. and Deputy Head of Underwriting Dept. of Ping An Insurance Company, Head of Non-marine Insurance of Ping An P&C, Head of Property Insurance of Ping An P&C. Mr. Shi had been Vice President of Ping An P&C since 2003 before he became Chairman of Xishuangbanna Financial Assets Exchange in Aug. 2011. He was appointed President of Shanghai Lujiazui International Financial Asset Exchange Co.,Ltd. on Jan. 1, 2012. He has been Executive Vice President of Ping An P&C since July 2012. He was awarded Medal of Ping An II and Long Service Medal of 20 Years. Mr. Cao Liuyi started his career in 1980. 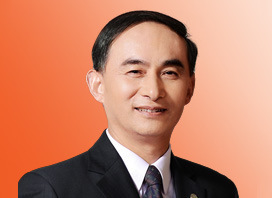 He successively held various positions such as President of Guizhou Branch, Fujian Branch and Sichuan Branch of Ping An P&C; he was appointed Vice President of Ping An P&C and President of West Region Business Unit of Ping An P&C in Aug. 2008; in May 2011, Mr. Cao was pointed Senior Vice President of Ping An P&C and President of South Region Business Unit of Ping An P&C. During Oct. 2011 to Dec. 2014, he also doubled as Chairman of Ping An Insurance (Hong Kong) Co. Ltd. He has been Senior Vice President of Ping An P&C since Aug. 2012. Mr. Huang graduated in Nankai University. He joined Ping An in December 1991. He served as President of Tianjin Branch and Shenzhen Branch of Ping An P&C from May 1992 to December 1998; since Jan. 1998, he has been Senior Vice President of Ping An P&C. 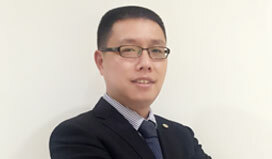 Before joining Ping An in 2010, Mr. Liang worked in W.F.Corroon Consultancy, CAN Financial Group and SUEZ Financial Group. 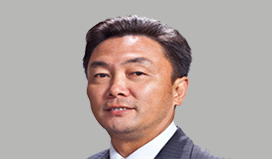 He graduated from Sichuan University in 1987 with a Bachelor’s degree in Mathematics and a Master’s degree in Computer Science and Technology; he graduated in Ball State University, USA in 1989 with a Master’s degree in statistics; he obtained a Master’s degree in economics in State University of New York in 1992; he is a member of FCAS, MAAA and China Association of Actuaries. 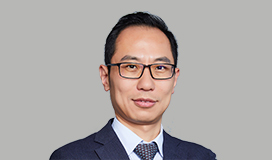 Mr. Liang is currently Senior Vice President, Chief Actuary and Chief Risk Officer of Ping An P&C, overseeing the Actuarial Dept., Reinsurance Dept. and Risk Management Dept. 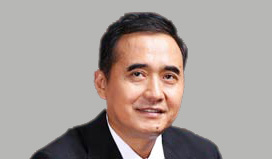 Mr. Liu graduated from Sun Yat-sen University with a BA degree in sociology in 1991. 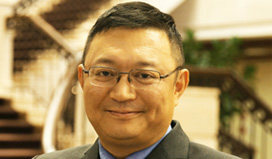 Mr. Liu is currently Senior Vice President of Ping An P&C and President of North Region Business Unit of Ping An P&C. He joined Ping An in 1993 and worked as Vice President, Senior Vice President and President of Beijing Branch, Ping An P&C. He was transferred to the head office of Ping An P&C in 2011 and served as Senior Vice President of Ping An P&C and President of West Region Business Unit of Ping An P&C and then Senior Vice President of Ping An P&C and President of New Channel Business Unit of Ping An P&C. His honors and awards include Medal of Ping An II, Executive of Excellence and Long Service Medal of 20 Years, etc. Mr. Zhu graduated from the Graduate School of Chinese Academy of Social Sciences with a Master’s degree in business administration. 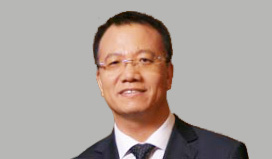 Mr. Zhu is currently Vice President and Chief Operation Officer of Ping An P&C. He joined Ping An in 1994 and worked as Vice President of Anhui Branch and President of Anhui Branch, Ping An P&C; he was head of PMO of “Project Zhuoyue” of Ping An Group Development and Reform Center in 2003; he was transferred to the head office of Ping An P&C in 2006 and successively worked as Head of Planning of Ping An P&C, Head of Operation Center of Ping An P&C and Vice President of Ping An Processing and Technology; he has been in the senior management team of Ping An P&C in 2012, overseeing claims, customer services, operations, compliance, internal audit and the legal function. He has been Senior Vice President of Ping An P&C since 2016. Mr. Wang obtained his Bachelor’s degree and Master’s degree from Automotive Engineering Department of Tsinghua University. He is currently Senior Vice President of Ping An P&C. He joined Ping An in Sept. 1997 and successively worked as Deputy Head of Suzhou Branch, Deputy Head of Auto Insurance of Ping An P&C, Executive Deputy Head of Accidental & Health Insurance Claims of Auto Insurance of Ping An P&C, Senior Vice President and President of Fujian Branch of Ping An P&C, Vice President of Ping An Processing & Technology. His honors and awards include Medal of Ping An II, Executive of Excellence and Long Service Medal of 15 Years. Mr. Xu obtained his Bachelor of Laws from Department of International Shipping of Shanghai Maritime University in 1993 and his MBA degree from Chinese University of Hong Kong / Tsinghua University in 2004. 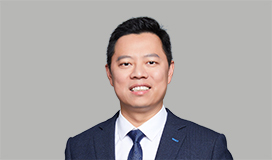 He joined Ping An P&C in 2012 and is currently Vice President of the company, overseeing Ping An P&C’s group insurance business and development. Previously, he worked in PICC, dedicated to development of special risk underwriting and water insurance business with extensive experience in insurance underwriting regarding areas such as aerospace, nuclear energy, etc. 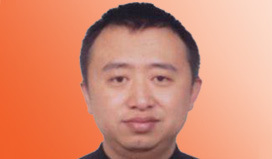 Mr. Zhou graduated from Huazhong University of Science and Technology with a Bachelor degree in economics in June 1998. 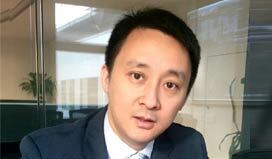 He works as Vice President & CFO of Ping An P&C and President of East Region Business Unit of Ping An P&C. He successively held the posts such as Head of Finance in Shenzhen Branch of Ping An P&C, Deputy Head of Planning Department of Ping An P&C, Deputy Head of Auto Insurance, Ping An P&C, Senior Vice President of Guangdong Branch of Ping An P&C and Head of the Office of Chairman of Ping An P&C. 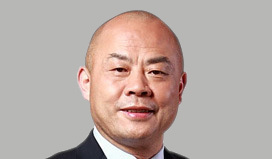 He has been Chief Financial Officer of Ping An P&C since May 2013, Vice President & CFO since Oct. 2014, and President of East Region Business Unit of Ping An P&C since April 2016. 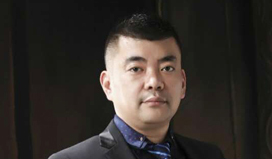 Mr. Lv graduated from Huazhong University of Science and Technology with a PhD degree of Engineering in 1998. He successively held the posts of heads of Finance & Planning, General Office and Customer Service Center of Shanghai Branch of Ping An P&C, President of East Region of Ping An P&C, President of Shangdong Branch of Ping An P&C, President of Guangdong Branch of Ping An P&C. He has been President of West Region Business Unit of Ping An P&C since 2015. Mr. Xie, born in Sept. 1968, doctor's degree in management and a master's degree in Management Science from Nanjing University. Mr. Xie has been Senior Vice President of the Company since September 2016 and Chairman of Ping An Bank since December 2016. Mr. Xie joined the Company in 1994. He started as a junior sales agent, and then served as Deputy General Manager of a sub-branch of Ping An Property & Casualty, Deputy General Manager and General Manager of a branch of Ping An Life, and General Manager of Marketing Department of Ping An Life consecutively. Mr. Xie served as Vice Director of the Company's Development & Reform Center from June 2005 to March 2006, Chief Operating Officer, Chief Human Resources Officer, and Vice President of Ping An Bank from March 2006 to November 2013 consecutively, and Special Assistant to Chairman, President and Chief Executive Officer, and Chairman of Ping An Securities from November 2013 to November 2016 consecutively. Mr. Xie is Chairman of the Online Securities Business Committee under the Securities Association of China. Mr. Hu, born in 1962, Master's degree. Mr. Hu During acted as a staff at Dong’an outlet of People’s Bank of China during Dec. 1979 to Jul. 1983,; during Aug. 1983 - Jul. 1986, he studied at Hunan Financial Cadre Management College; during Aug. 1986 - Dec. 1989, he served as staff & deputy head of HR dept. at Hunan branch of Industrial and Commercial Bank of China. During Jan. 1990 - Feb. 1999, Mr. Hu acted as Head of the Publicity Dept. of Party Committee & deputy outlet manager & outlet manager of Shenzhen Development Bank; during Feb. 1999 - Mar. 2000, he served as President of Guangzhou branch of Shenzhen Development Bank; from Mar. 2000 to Mar. 2005, he acted as Assistant President of Shenzhen Development Bank & Guangzhou branch president; during Mar. 2005 - May. 2006, he acted as Assistant President of Shenzhen Development Bank; during May. 2006 - Nov. 2016, he acted as Vice President of Ping An Bank (former Shenzhen Development Bank). He worked as President of Ping An Bank from Dec. 2016 and Director of Ping An Bank (former Shenzhen Development Bank) from Dec. 2007. Mr. Qiu, born in 1962, is the Chairman of the Supervisory Committee and an Employee Representative Supervisor of Ping An Bank. 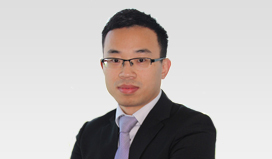 Mr. Qiu has a doctor's degree in economics and finance, and is a senior economist. Currently, he acts as the Chairman of the Supervisory Committee, the Deputy Secretary to Party Committee, and the Secretary to Discipline Committee of Ping An Bank. 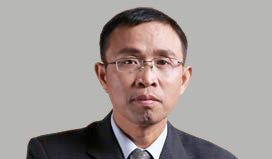 Mr. Qiu previously served as the Deputy Section Chief and the Section Chief of Sichuan Luzhou Branch of the PBOC; the Chief of General Office of the Head Office of Shenzhen Development Bank, the Vice President of a sub-branch, and the Deputy Chief of HR Dept. of Shenzhen Development Bank; the Chief of General Office of Shenzhen Branch of Guangdong Development Bank, the Assistant to the President, the Vice President, the President, the Secretary to Party Committee of the Branch; the President and the Deputy Secretary to Party Committee of Shenzhen International Trust Investment Company; the Chairman of Supervisory Committee, the Deputy Secretary to Party Committee, and the Secretary to Discipline Committee of Shenzhen Commercial Bank; the Chairman of Supervisory Committee, the Deputy Secretary to Party Committee, the Secretary to Discipline Committee, and the Chairman of Labor Union of the former Ping An Bank; the Chairman of Supervisory Committee and the Secretary to Discipline Committee of Shenzhen Development Bank. Ms. Chen, born in 1968, is the Vice President of Ping An Bank. Ms. Chen obtained her master's degree in business administration from Zhongnan University of Economics. Ms. Chen joined Ping An Bank (formerly Shenzhen Development Bank) immediately after her graduation in 1993, and acted as a credit clerk of Nantou Sub-branch, the Chief of International Business Dept., the Vice President of Sub-branch, and the President of Sub-branch. In November 2001, Ms. Chen was transferred to Head Office, and acted as the Chief of Credit Dept. of Head Office, the Executive Director of Credit Risk of Head Office, the Chief Internal Control Officer, and the Chief Operating Officer; from April 2011 to January 2012, Ms. Chen was the President of Shenzhen Branch; from January 2012 to March 2014, Ms. Chen was the Vice President of Head Office of Ping An Bank, in charge of five branches in the West Region. 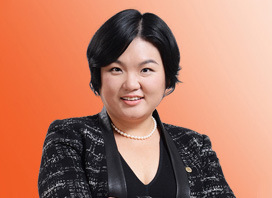 Ms. Chen has been the Vice President of Ping An Bank since March 2014, in charge of interbank business. Mr. Feng, born in 1957, is the Vice President of Ping An Bank. 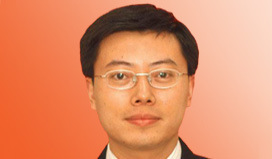 Mr. Feng has a master's degree, and is a senior economist. 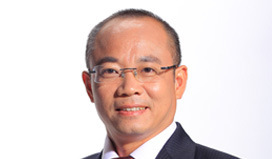 Mr. Feng graduated from Southwestern University of Finance and Economics in 1984 majoring in finance, and received an EMBA degree from China Europe International Business School in 1998. 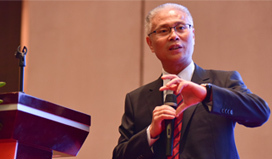 Mr. Feng embarked on a career in banking in 1979. He previously worked with Shanghai Branch of the PBOC, Shanghai Branch of the ICBC, and Shanghai Branch of CITIC Bank, and acted as the Assistant to President, the Vice President, the Executive Vice President, and the President of Shanghai Branch of CITIC Bank. Mr. Feng joined the former Ping An Bank in April 2004, serving as the Executive Vice President; Mr. Feng was transferred to Shenzhen Commercial Bank to act as the Executive Vice President in December 2006; Mr. Feng was an Executive Director and the Executive Vice President of the former Ping An Bank from July 2007 to November 2010, overseeing East Region Business Unit of the former Ping An Bank. Mr. Feng acted as a Non-Executive Director of the former Ping An Bank from December 2011 to June 2012. 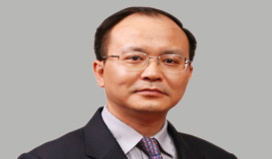 Mr. Feng has been the Vice President of Ping An Bank (formerly Shenzhen Development Bank) since December 2010. Mr. Wu, born in 1965, is the Vice President of Ping An Bank. Mr. Wu graduated from Nanjing University in 2003, majoring in business administration, and obtained his doctor's degree there. Mr. Wu embarked on his career in finance in 1989. He previously worked with subsidiaries of Ping An of China, and acted as the Senior Vice President of Shenzhen Branch of Ping An Life, the President of Nanjing Branch of Ping An Life, the Vice President of Head Office of Ping An Property & Casualty, the Senior Vice President of Head Office of Ping An Life, the Board Chairman of Ping An Insurance (Hong Kong) Company, and the President of East Region Business Unit of the former Ping An Bank. 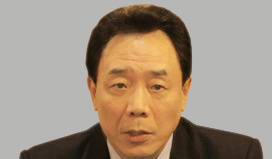 Mr. Wu has been the Vice President of Ping An Bank (formerly Shenzhen Development Bank) since August 2011. Mr. Ren holds an MBA degree from Peking University. He has been an Executive Director of the Company since July 2012, and is currently President of the Company, Chairman of Ping An Trust and Director of a number of controlled subsidiaries of the Company including Ping An Property & Casualty, Ping An Life, Ping An Asset Management, etc. 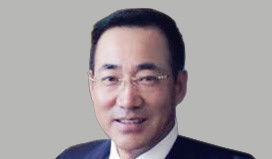 Mr. Ren joined the Company in 1992, and served as Senior Vice President of the Company between June 2010 and March 2011, Chief Insurance Officer between June 2010 and December 2010, Chairman and CEO of Ping An Property & Casualty between April 2007 and May 2011, and was appointed as an Employee Representative Supervisor of the Company from March 2009 to March 2010, and was Chairman and CEO of WanLiTong between February 2015 and December 2015. He has been Chairman of Ping An Trust since April 2016. 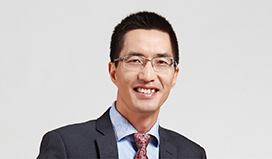 Mr. Song is a senior economist with a degree from Ocean University of Qingdao. He joined Ping An Group in 1992 and served successively as Deputy General Manager of Shanghai Branch under Ping An P&C and Vice President of Ping An P&C. He is currently Vice Chairman and President of Ping An Trust. Ms. Cao holds a bachelor’s degree in Economics from Sun Yat-sen University and a master’s degree in Financial Engineering from Nankai University. With 19 years’ experience in the banking field, Ms. Cao served in the front, middle and back office in both the headquarters and branches with profound grass-roots experience. Starting her career in 1997, Ms. Cao ever worked in Bank of China and China Minsheng Bank; in 2009, she was appointed as Vice President of Guangzhou Branch of China Minsheng Bank, successively in charge of corporate banking, asset-liability management and risk management. 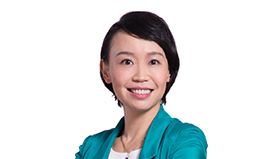 She joined Ping An Trust in 2015 as Chief Risk Officer. 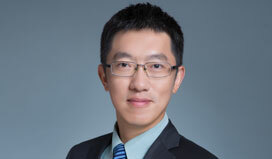 Mr. Liu earned his Doctorate degree from the Wharton School of the University of Pennsylvania and his master’s degree as well as his bachelor’s degree from Shanghai Jiao Tong University. 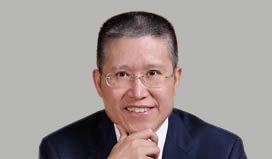 Mr. Liu has over 20 years of experience in investment at home and abroad. Previously, he worked in Government of Singapore Investment Corporation GIC as a Senior Vice President and Chief Representative of Greater China and Chief Investment Officer of International Finance Corporation (IFC), a member of the World Bank Group. He was in charge of investment and lending for a number of infrastructure privatization projects in many countries while working in World Bank in Washington, US and IFC from 1993 to 2003. After he was back in China in 2003, he oversaw investment in many pioneering enterprises from industries such as environment protection, services, consumption, pharmaceutical, technology, education, finance, etc. 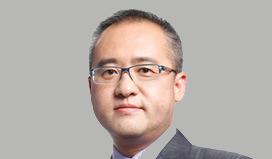 Mr. Liu joined Ping An Trust in 2014 as Senior Vice President of the company and President of Private Equity Investment. 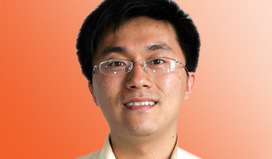 Mr. Gu obtained a Master’s degree in engineering and a Doctorate degree in computer science from Northeastern University. He is a CFA charter holder with over 15 years’ experience in investment and risk management. He served as Deputy Head of Risk Management at JPMorgan Chase & Co., a member of Investment Committee of Ping An Bright Fortune Co. and a member of PE Investment Internal Assessment Committee of Ping An New Capital. He joined Ping An Trust in Sept. 2008 and established an industry-leading risk management system and standards on investment risk management in areas of the capital market, fixed income, the non-capital market, etc. for Ping An Trust. Since early 2015, he has been in charge of the financial market sector of the interbank line (incl. bond investment, the capital market, overseas investment, trust business, etc.). Since March 2016, he has been Head of Wealth Product Center. Mr. Zheng graduated from University of International Business and Economics with two bachelor’s degrees in engineering and economics. He has 18 years’ experience in the financial field and profound experience in bank wealth management business, investment business, transaction business and interbank business in particular. Previously, he worked in China Minsheng Bank and held various positions successively such as Director and Vice President of Financial Market Transaction, Deputy Head of Interbank. 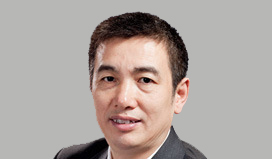 Mr. Zheng joined Ping An Trust in Oct. 2015 as Senior Vice President. Mr. Lee holds a Bachelor’s degree of engineering in internal combustion engine from Tsinghua University and a MBA degree from Fudan University. After joining Ping An in 1996, Mr. Lee has worked with Ping An P&C, Ping An Group BoD Office, Ping An New Channel and Ping An Asset Management. Mr. Lee joined Ping An Trust in 2009, and successively served as Vice President and President of Investment Management, President of Infrastructure Investment, President of Infrastructure Investment BU, and Vice President of Ping An Trust. He serves as the Senior Vice President of Ping An Trust now and oversees infrastructure investment. Mr. Lee is also a Supervisor of Zhong Xin Fund, an investee of Shenzhen Ping An Financial Technology which is a related company of Ping An Trust. Mr Cao Shifan has been the Chairman of Ping An Securities Co., Ltd. since April 2017. Mr Cao joined Ping An Group in November 1991, and acted as the General Manager of Organization & Human Resources Department, the General Manager of Nanjing Branch, President of China Ping An Trust & Investment Co., Ltd., the President, Chairman and Chief Executive Officer of Ping An Property & Casualty, and the Senior Vice President of Ping An Insurance (Group) Company of China, Ltd. successively. 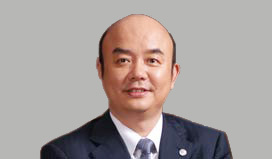 He has been the Senior Vice President of Ping An Insurance (Group) Company of China, Ltd. since April 2007. From July 2013 to August 2016, he doubled as the Chairman of Shenzhen Qianhai Credit Reference Center Co., Ltd. Mr Cao has a master's degree in economics from Zhongnan University of Economics and Law (formerly known as Zhongnan University of Economics). Mr. He Zhijiang was born in September 1965 and is now the General Manager and CEO of Ping An Securities. From July 1992 to September 2001, Mr. He successively served as a senior trader of Bank of China New York Branch and manager of Treasury Department of Frankfurt Branch. From September 2001 to January 2007, Mr. He held the post of Vice General Manager of Treasury Trading Department of China Merchants Bank, and after that, he served as the Treasury Director and Chief Treasury Officer of Shenzhen Development Bank (now Ping An Bank) between January 2007 and October 2013. From October 2013 on, Mr. He successively held the post of Executive Vice President and President of Zhejiang Chouzhou Commercial Bank until October 2016. From November 2016 to April 2018, Mr. He served as Special Assistant to President and Vice President of Ping An Bank. 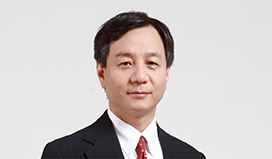 Mr. ZHU Ya, born in June 1954, is Senior Vice President of Ping An Securities. 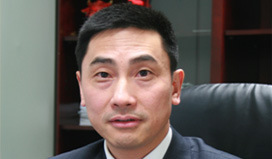 He joined Ping An Securities in May 2006 as Senior Vice President. From June 1984 to June 1994, Mr. ZHU worked in Shan'xi College of Finance and Economics as a lecturer; from June 1994 to December 1995, he served in Hainan Huitong International Trust Investment Co., Ltd. as President; from December 1995 to April 2006, he worked in Great Wall Securities and successively held positions such as Vice President and President of Investment Banking Business Unit as well as Senior Vice President. Mr. ZHU obtained his master’s degree in economics from Shan'xi College of Finance and Economics. 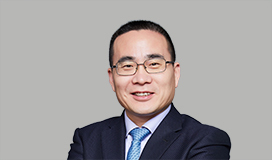 Mr. ZHAN Luyang, born in May 1974, is Senior Vice President and Secretary of the Board of Directors of Ping An Securities. He joined Ping An Securities in March 2009 and worked as Vice President of the company; he has been Senior Vice President of Ping An Securities since October 2011, and has held a concurrent post of Secretary of the Board of Directors since August 2015. Mr. ZHAN joined Ping An Insurance (Group) Company of China, Ltd. in August 1999 and served as Project Manager of Development and Reform Center, Vice President of Planning and Senior Vice President of Planning successively. From September 2008 to March 2009, he worked as Vice President of Ping An Annuity Insurance Company of China. Mr. ZHAN obtained his MBA (Master of Business Administration) degree from the University of Liverpool. 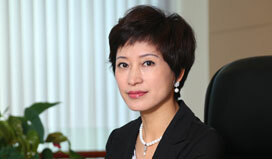 Ms. ZHANG Hanyu, born in January 1965, is now Senior Vice President of Ping An Securities. She joined Ping An Securities in May 2015 and has been Senior Vice President of the company since August 2015. From January 1990 to December 1992, Ms. ZHANG worked as a lecturer in School of Finance, Capital University of Economics and Business; from December 1992 to October 2006, she worked as a director in China Securities Regulatory Commission (CSRC); from October 2006 to April 2015, she worked as Vice President of China Securities Depository and Clearing Corporation Limited (CSDC), overseeing the clearance as well as depository business and assisted in overseeing innovation related and legal issues. Ms. ZHANG obtained her doctor’s degree in Philosophy from Renmin University of China. 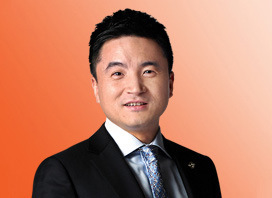 Mr. ZHANG Dong, born in October 1975, is now Senior Vice President of Ping An Securities. Mr. ZHANG joined Ping An Securities in July 2006 and successively worked as Chief of the the Bond Sales and Trading Department under the Fixed Income Business Unit, head of administration for the trading business team as well as the investment advisory business team, and Chief of the Fixed Income Trading Business Unit; and he has acted as Senior Vice President of the company since January 2017. 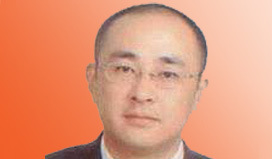 From 1998 to 2006, Mr. ZHANG served in Great Wall Securities and worked as Vice President of Fixed Income. He obtained his bachelor’s degree in international finance from Zhongnan University of Economics and Law. 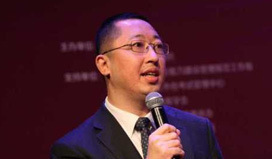 ZHENG Xia, born in September 1969, serves as Assistant President of Ping An Securities. She joined Ping An Securities in April 2014, and successively worked as Head of Administration Office, Head of Integrated Finance Department and Head of Brokerage Business Unit of Ping An Securities. She has acted as Assistant President of Ping An Securities since November 2016. Ms. ZHENG joined Ping An in 2000, and successively served as Manager of Shaoxing sub-branch of Zhejiang Branch of Ping An Life; Project Team Leader of Ping An Group's Reform & Development Center; Head of Sales Management Department of New Channel (Headquarters); Deputy Head of Human Resources Department, Head of Retail Integrated Finance Department, and Deputy Head of Retail Banking Department of Ping An Bank (Headquarters). Mrs. ZHENG obtained her bachelor’s degree and IBM degree from Zhejiang University. Ray YANG, born in June 1975, serves as Assistant President of the company. He joined Ping An Securities in September 2014, and served as General Manager of Administration Office, and Head of Corporate Business Management Department, and has acted as Head of Trading & Sales Business Unit since March 2016, and Assistant President of the company since November 2016. Mr. YANG joined Ping An in May 2000. 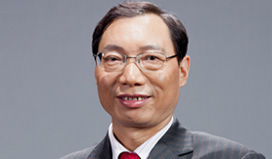 Between May 2000 and September 2014, he successively served as Chief of Performance Management Team of Group Human Resources Center, Chief of Performance Accountability Office of Human Resources Department of Ping An Bank, Head of Human Resources Department of Ping An Bank, Deputy Head of Training Department of Ping An Bank (overseeing the work), and General Manager of Guangzhou Branch of Private Banking Business Unit of Ping An Bank. Mr. YANG obtained his bachelor’s degree in international finance from Suzhou University, and EMBA ((Executive Master of Business Administration) degree from Fudan University. 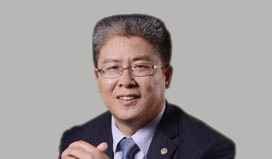 Yu Chunhong, born in September 1969, serves as Assistant President. Mr. Yu joined Ping An Securities in August 2006, and successively acted as Executive General Manager of Bond Financing Department of Fixed Income Business Unit, Managing Director (Executive Head) of the local government platform and state-owned enterprise business team of Fixed Income Business Unit, and Co-General Manager (Executive Head of Bond) of Investment Bank Business Unit. He has served as Assistant President of Ping An Securities since November 2016. From September 1992 to August 1999, Mr. YU worked in Xidan Shopping Mall; from September 1999 to July 2006, he served as Head of Quality Assurance Department and Head of Investment Bank Business Unit of China Great Wall Securities Co. Ltd. He obtained his bachelor’s degree from Capital University of Economics. 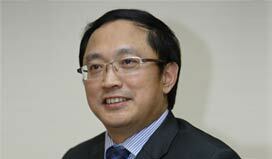 Patrick LI, born in September 1974, serves as Assistant President & Chief Finance Officer (Finance Head). He joined Ping An Securities in November 2009, and served as Deputy General Manager of Finance & Planning Department, Executive Head of Margin Financing Department, and Head of Finance & Planning Department & Head of Treasury Department. Between July 2015 and November 2016, he acted as Finance Director of the company and General Manager of Finance & Planning Department; between November 2016 and February 2017, he acted as Assistant President of the company; and he has acted as Assistant President & Chief Finance Officer (Finance Head) of the company since February 2017. Mr. LI joined Ping An Group in August 2000, and successively worked in the Chief Actuary Office, Life Insurance Actuarial Appraisal and Analysis Department of the headquarters, and the Group Finance & Planning Center, engaging in the actuarial science, research and analysis. He obtained his master’s degree in Control Science from Shandong University. 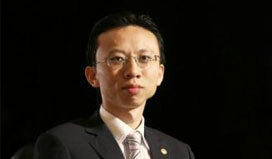 ZHU Yiyong, born in February 1976, serves as Assistant President and Human Resources Director. He joined Ping An Securities in November 2011, and served as Deputy General Manager of HR and Administration Department, and Head of Human Resources Administration Department. From December 2015 to November 2016, he acted as Human Resources Director & Head of Human Resources Department. He has acted as Assistant President and Human Resources Director since November 2016. Mr. ZHU joined Ping An in April 1999. 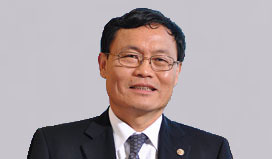 From April 1999 to July 2011, he successively served as Chief of Staff Management Office of Human Resources Department of Heilongjiang Branch of Ping An Life, Deputy Head of Human Resources Department of Jilin Branch of Ping An Life, Head of Human Resources Team of New Channel of Group Human Resources Center, and Deputy Head of Remuneration Planning Management Department of the Group Human Resources Center. He obtained his bachelor’s degree in accounting from Heilongjiang Institute of Commerce. 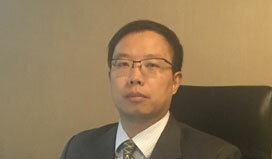 Mr. HU Yimin, born in Dec. 1971, is now Chief Compliance Officer of the company and Chief of the Legal and Compliance Department. 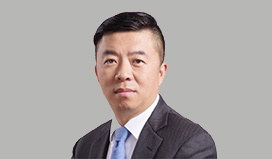 Mr. HU joined Ping An Securities in March 2016, acting as Chief Internal Review Officer for Investment Banking. He has concurrently acted as Head of Legal and Compliance Department since November 2016, and has acted as Chief Compliance Officer of the company and Head of Legal and Compliance Department since January 2017. From April 1997 to September 2000, Mr. HU acted as Manager of Shenzhen Securities Division of PICC Trust; from September 2000 to February 2002, he acted as Manager of Shenzhen Securities Division of China Galaxy Securities; from February 2002 to November 2012, he worked for the CSRC, acting as an assistant researcher at Issuance Supervision Department, Deputy Chief of Issuance Supervision Department, and Chief-level Researcher at Issuance Supervision Department successively; from November 2012 to March 2016, he worked for National Equities Exchange and Quotations (NEEQ), acting as Head of Listing Business Department and Head of Market Development Department. He obtained his master’s degree in civil and commercial law from Renmin University of China. 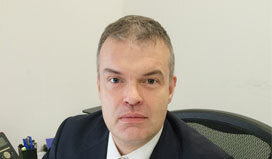 Mr. Chris Hodson, born in March 1967, currently acts as Special Assistant to President of the company. He joined Ping An Securities in March 2015, has acted as Special Assistant to President since then, and Co-head of the trading and derivatives business. Mr. Chris Hodson got his first job from Nomura International, focusing on swap and option trading. He then worked in Bank of America from 1995 to 2011 and was once the head of the swap trading department. He then served in Bank of America Merrill Lynch from 2011 to 2013, and served as managing director of the company’s marketing department for business in Europe, Middle East and Africa. He obtained his bachelor’s degree of Mathematics and master’s degree of Mathematical Statistics from King’s College, Cambridge. 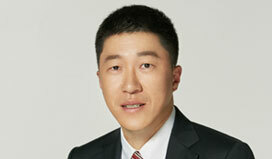 Mr. Yunho Song, born in October 1963, and is Special Assistant to President of the company. He joined Ping An Securities in 2015, has acted as Special Assistant to President since then, and Co-head of the trading and derivatives business. Yunho once worked as Managing Director for international institutions including Bank of America, Lehman Brothers, Blue Crest Capital, Mizuho Capital and Fuji Capital. From 2010 to 2014, Yunho was Head of Interest Rate & Foreign Exchange Department of Bank of America in Europe, Middle East and Asia; he also served as non-executive board member of Merrill Lynch International Bank, non-executive board member of London Clearing House Limited, member of Merrill Lynch’s Executive Committee for Affairs in Europe, Middle East and Asia, member of Merrill Lynch Fix Income’s Risk Management Committee, partner of Blue Crest, etc. He obtained his bachelor’s degree in International Economics and Finance from Georgetown University. Mr. Luo started his career in 1990. He previously worked as an official at International Dept. of China Federation of Trade Unions, the Assistant Manager of General Office of Ping An Insurance Group, the Senior Vice President of Guangzhou Branch of Ping An Life, the Chief of HR & Admin Dept./Training Dept. of Ping An Life, the Chief of Branding Dept. of Ping An Insurance Group, the President of Beijing Branch of Ping An Life, and the Senior Vice President of Ping An Fund Management Co., Ltd. He is currently the Chairman and President of Ping An Fund Management Co. Ltd., and the Executive Director of Shenzhen Ping An UOB Hui Tong Wealth Management Co., Ltd.
Mr. Xiao started his career in 1992. He previously worked with Jiangxi Machinery Equipment Bureau, the CSRC Jiangxi Bureau, and the CSRC Shanghai Office. 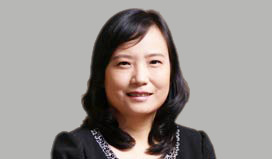 He currently serves as the Inspector General of Ping An Fund Management Co., Ltd.
Ms. Lin started her career in 1992. 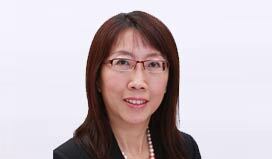 She previously worked as an employee of Singapore Ministry of Defense, the Assistant Manager and the Assistant Vice President of United Overseas Bank Limited, and Senior Director of UOB Asset Management. She is now the Senior Vice President of Ping An Fund Management Co., Ltd. and oversees the operations. 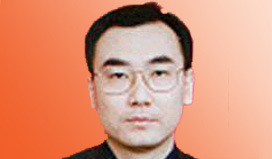 Mr. Wang Tao started his career in 1998. He previously worked as the Marketing Director of Shanghai Sai Ning International Trade Co., Ltd., the Sales Director of HSBC, the Product Development Director of Personal Business Dept. of OCBC Bank Singapore, the Chief of Structured Product Development Dept. of OCBC Bank Singapore, the Deputy Chief of Personal Banking Dept. of Bank of Ninbo, the deputy Chief of Financial Market Dept. of Bank of Ninbo, and the deputy Chief of Investment Banking Dept. and the Deputy Chief of Asset Custody Dept. of Bank of Ninbo. 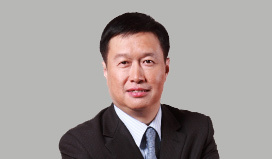 He is now the Senior Vice President of Ping An Fund Management Co., Ltd., and the President of Shenzhen Ping An UOB Hui Tong Wealth Management Co., Ltd.
Mr. Fang holds an EMBA degree from the China Europe International Business School and a doctor's degree in management from Xi'an Jiaotong University. Mr. Fang once acted as the Senior Vice President and the Executive Vice President of Far Eastern Leasing. 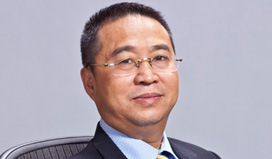 In 2010, Mr. Fang became the Executive Vice President of Far Eastern Leasing. As a founder of Far East Horizon, Mr. Fang established three business units, i.e. Health Care, Education, and Industrial Equipment; a unique business model that he created has become a standard in the leasing industry. After joining Ping An in July 2012, Mr. Fang established Ping An Leasing, and led the team to achieve rapid business development. As of November 2016, the total assets of Ping An Leasing had grown to nearly RMB 100 billion. Mr. Li obtained a master's degree from Tsinghua University. Mr. Li previously acted as the Deputy Chief of a department of Far East Horizon. 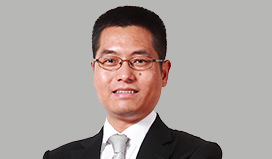 Since Joining Ping An, Mr. Li has acted as the Senior Vice President of Ping An Leasing. Mr. Li has built a team of about 100 members capable of fulfilling arduous tasks. Mr. Li has led his men to seek market shares in traditional industries such as machinery, engineering construction, textile, and electronics, bringing about a good start for the Company's expansion in traditional areas, and exploring and creating brand-new leasing models. Mr. Wei obtained a bachelor's degree from Fudan University and a master's degree from Shanghai University of International Business and Economics. Mr. Wei previously acted as the Chief of a department of Far Eastern Leasing. Mr. Wei has been the Senior Vice President of Ping An Leasing since joining Ping An. He has helped with the incubation of many businesses of Institutional Financing Business Unit, and achieved brilliant performance in business model selection, project evaluation and analysis, risk identification and hedging, and asset sourcing and management. Mr. Lu joined Ping An in December 1993. From May 2000 to January 2005, he oversaw Zhejiang Branch of Ping An Property & Casualty, Chongqing Branch of Ping An Property & Casualty, and Sales Management Dept. of Head Office of Ping An Property & Casualty. From January 2005 to June 2007, he acted as the Vice President of Ping An Property & Casualty, the Deputy Chief of the Group Development & Reform Center, and the Vice President of Ping An Annuity. From June 2007 to March 2016, he acted as the President of the Group Channel Development Business Unit，the President/ the Vice Chairman/ the Board Chairman and the Chief Executive Officer of Ping An Direct. Mr. Lu graduated from Dalian Marine College (now Dalian Maritime University) in 1988 with a master's degree in law. He is a senior economist. Mr. Yan joined Ping An in 1995. He acted as the Project Manager of Property & Casualty Team of Group Development and Reform Center from 1998 to 2000, the Deputy Chief of Securities Brokerage Business Unit and the Chief of E-Commerce Dept. from 2001 to 2003, and the President of Call Center of Group Integrated Operations Center from 2006 to 2007, participating in the establishment of Ping An's Integrated Operations Center. Mr. Yan joined Ping An Direct Consulting Co., Ltd. in 2007, and acted as the Chief of Property & Casualty Call Center and Life Insurance Business Unit.From February 2010 to March 2016, he acted as the Vice President of Ping An Direct. 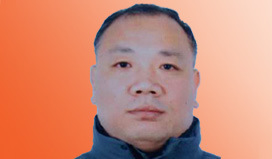 Mr. Yan graduated from Jiangsu University of Science and Technology in1990, majoring in industrial electric automation. Mr. Luo joined Ping An in Sept. 2014. Previously, Mr. Luo worked with Mangocity.com, Qihoo 360, and Credit Card Center of CITIC Bank. Mr. Luo holds an MBA degree from Renmin University of China. Mr. Wang is the Chief Financial Officer of Ping An Financial Services. 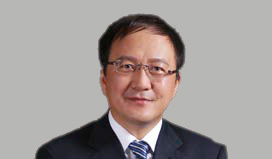 Mr. Wang joined Ping An in January 1995, and acted as the Office Chief of Finance Dept. of Ping An Group, the Chief of Planning Dept. and Finance Dept. of Ping An Property & Casualty, and the Chief Finance Officer (CFO) of Ping An Property & Casualty. From March 2013 to March 2016, he acted as the Vice President of Ping An Direct. Mr. Wang obtained his master's degree in economics from Zhongnan University of Economics. He is a senior accountant. Mr. Wang joined in Ping An in August 2017. Before joining Ping An, Mr. Wang held a managerial position in Alibaba, Yihaodian and CFLD successively. Mr. Wang graduated from the Open University of Hong Kong, obtaining a MBA degree. 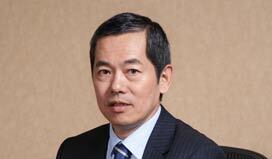 Mr. Jiang Xuehong joined Ping An Futures in Nov. 2013 as President of the company. Previously, he had worked in IBM for a year before he served as Technical Director and Vice President at J.P. Morgan Futures Co., Ltd. Mr. Jiang is a certified economist, a member of the Information Technology Expert Committee of China Futures Association, a technical support expert for the securities and futures industry of CSRC and a part-time supervisor for graduates majoring in quant investment in Renmin University of China. Receiving his EMBA from the China-Europe International Business School and master’s degree in healthcare management, Mr. Fan has practiced healthcare operation, investment management and entrepreneurship for 20 years. He was the Senior Vice President of Parkway Health Group in China and North Asia, Director of medical investment in Fosun Pharmaceutical (Group) Co., Ltd., and founder of Kangrui Hospital Investment Management Co., Ltd. He presents great expertise in clinic establishment, medical investment and operation, and unique insight into the healthcare industrial chain and business model innovation at home and abroad. With a master’s degree in financial management, Ms. Xu has served a 30-year career in insurance. She served as Deputy General Manager in Ping An Life Insurance in Hubei Province, General Manager in Ping An Annuities in Hubei and Shanghai, and Deputy General Manager in Ping An Annuities Head Office. She led a team claiming the Shanghai Finance Innovation Prize and Best Insurance Innovation Prize. She also initiated the release of China Employee Benefits Index and China Employee Pension Reserve Index. Ms. Xu stays committed to insurance market operation and is insightfully positioned in market access, products, and The One account (for corporate clients). With a MBA degree from Peking University ，Andy He has dedicated himself to software development and project management for more than 15 years. He served as Deputy General Manager of the R&D Center and Vice President of Medical Software of Kingdee Group. He is experienced in product strategic planning, structuring and development, project and quality management of internet healthcare services. He was the primary founder of the first mobile Internet hospital in China and is very professional in medical informationization and Internet healthcare services.